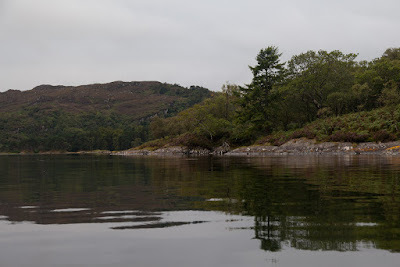 Once we had entered the North Channel of Loch Moidart, we came across a substantial Victorian house nestling in a little north facing valley on Eilean Shona, the island which sits in the mouth of Loch Moidart. 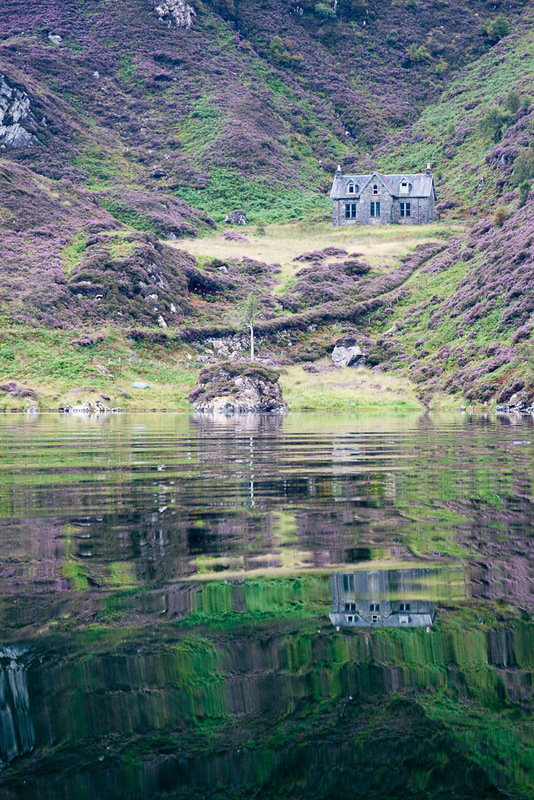 It is Baramore school house and at one time about a dozen children were taught there. 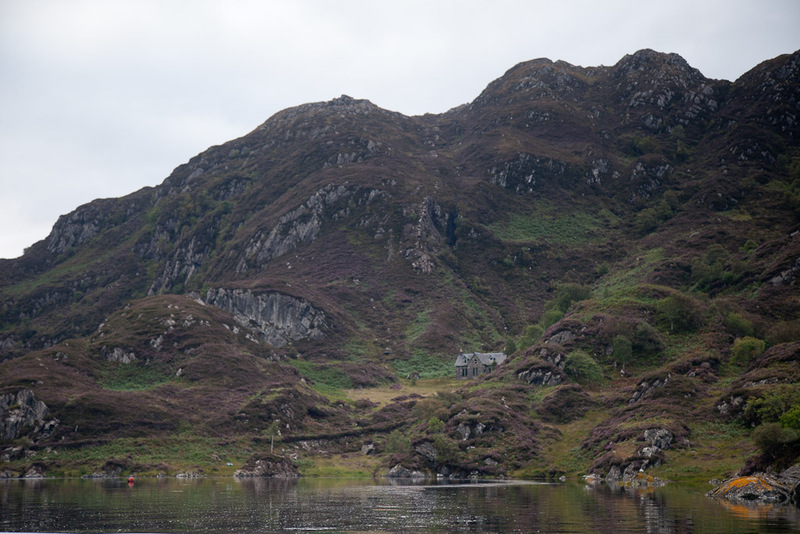 It is built on the opposite side of Eilean Shona from the other houses, reputedly because the wife of the island's owner did not want her peace to be disturbed by children! 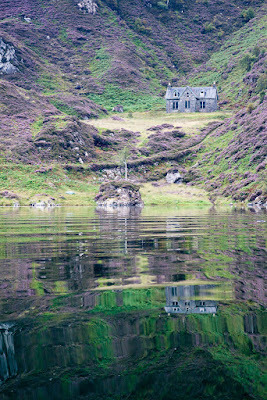 In August the purple heather and green bracken created lovely reflections on the still water but the hillside was silent. The children are long gone. At the north end of Eilean Shona, a narrow neck of land joins it to the smaller Shona Beag. 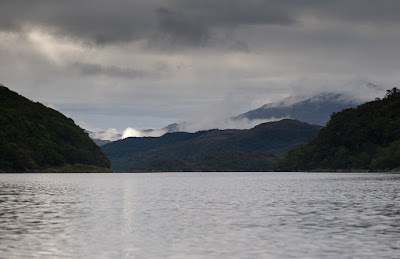 In the distance a wisp of smoke rose lazily in the still air. 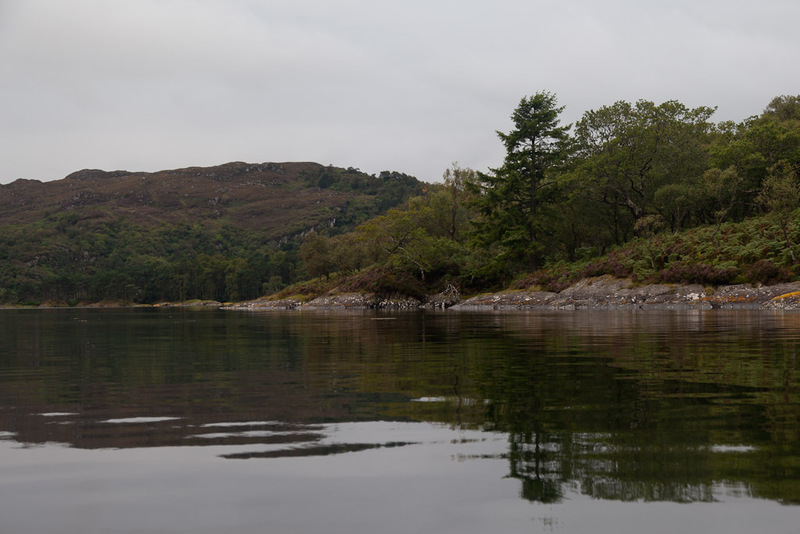 In the shelter of Loch Moidart, maritime forests of oak come right down to the sea shore. As we made our way past Shona Beag, the view was dominated by the mist shrouded slopes of Beinn Resipol 845m, in the lands of Sunart. 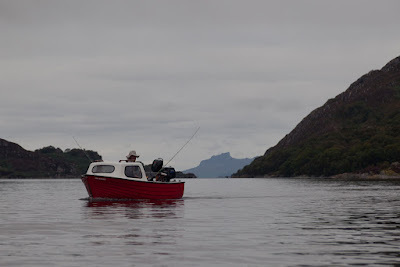 We were now in a tidal channel, which dries to reveal a ford at low tide, Donald wound his fishing lines in but he still had 3m of water under his keel as it was high water. Just as the ebb tide turned against us, we approached the east end of Shuna Beag and prepared to turn west, to continue our exploration of beautiful Loch Moidart.